As we continue our “Railroading Runkle Canyon?” series, the Department of Toxic Substances Control Project Manager for cleanup of the site, Norm Riley, has been removed today from the same post for the adjacent Santa Susana Field Laboratory, better known as Rocketdyne. The purpose of my email is to update you on two important developments regarding the Santa Susana Filed Lab Project. First, DTSC has negotiated a draft cleanup order with two of the three SSFL responsible parties, the US Department of Energy (DOE) and the National Aeronautics and Space Administration (NASA). We’re pleased that the federal agencies (NASA and DOE) have committed to moving forward on a draft cleanup order that covers a significant portion of contamination (90% RAD and 50% other chemicals) in strict compliance with SB 990. Unfortunately we are not yet at a public review stage with Boeing as to their clean-up responsibilities, so we have decided to move forward with the responsible federal agency portion of the clean-up. We’re hopeful that the Boeing discussions will be similarly successful and have assigned project management to the executive level of the Department to lead those negotiations. 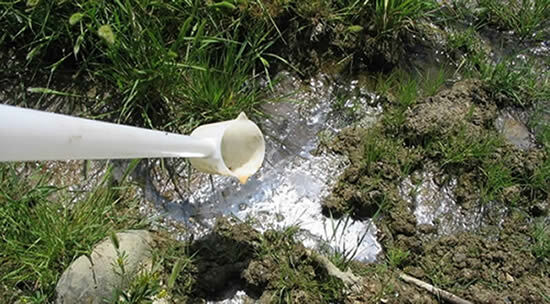 The public comment period for the draft cleanup order negotiated with NASA and DOE begins today, August 19, 2009 and goes for 30-days, ending September 18, 2009. Following this public comment period, DTSC, DOE and NASA will review all submissions, make appropriate modifications ensuring absolute strict compliance with SB 900 and will work in good faith toward a final cleanup order. Second, I announced today that I have asked Rick Brausch to assume the role of Project Manager for the Santa Susana Field Laboratory Project (SSFL). We are entering a critical phase of the SSFL project that calls for a specific set of skills and abilities to move it forward. With over 25 years of DTSC experience, Rick has an in-depth understanding of the Department’s many programs and authorities. That knowledge, coupled with Rick’s many years as DTSC’s Policy and Legislative Director and his effective dealings with our diverse stakeholders and communities uniquely qualify him to take over this highly sensitive and important assignment. We are about to begin a public comment period for SSFL and Rick’s expertise, as well as his position as part of DTSC’s Executive Leadership Team, will help move us through this next phase of public input and collaboration. Norm Riley, who has been the DTSC Project Manager to this point, has served the department well and has been an invaluable resource. We thank him for his many years of tireless dedication and work. I have asked Norm to accept another assignment in the department where his knowledge and skills will continue to benefit DTSC and all Californians. The other blockbuster news in this announcement is that Boeing has still not signed on to cleaning up its 2,850-acre site situated in the hills between the Simi and San Fernando valleys. Instead, characterization and cleanup will proceed on lab lands either owned or operated by NASA or DOE. That Boeing hasn’t signed off shouldn’t be a problem in the near term, according to Movassaghi, since 90% of the lab’s radiological contamination, and 50% of its chemical pollution, are on and under parts of SSFL controlled by NASA and DOE. Movassaghi said it was premature to speculate whether the announced changes will affect the 2017 timetable for full lab remediation because the department has yet to consider all the comments it expects from the community about the lab cleanup. 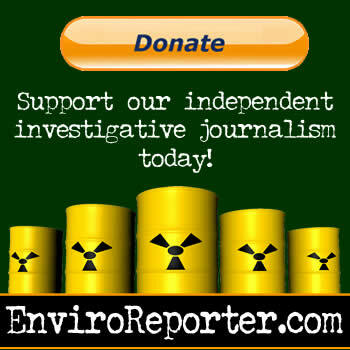 As EnviroReporter.com has been reporting this week in it “Railroading Runkle Canyon?” some community members had recently expressed frustration with Norm Riley’s stewardship. That is all about to change, according to Movassaghi. “Runkle Canyon and the issues there are so analogous and tied to the Santa Susana Field Laboratory,” says Movassaghi, that new DTSC lab manager, Rick Brausch, will also take over Riley’s role in Runkle. Norm Riley was speaking to one of our staff representatives after the meeting, and gave very strong indications that he would like to see the Workgroup replaced with a new Community Advisory Council (CAG). We cannot see how an issue this technically, legally, and politically complex, and with such a long and tangled history, including the involvement of the Federal District Court, could possibly lend itself to a CAG. Moreover, we see no reason to be starting all over again with a CAG, nor why DTSC would actually be encouraging anyone to petition for such a course of action instead of fighting to keep the well-established EPA Workgroup going. Clearly, it is the simplest and most credible course of action, and the only one that a once-burned, twice-shy community will accept. “The loss of Norman Riley as Project Director of the SSFL comes at a very vulnerable time and the community who supported him is stunned to hear of this news.” says Bill Bowling, founder and co-director of ACME. For the time being, however, Riley will stay with DTSC. “Secretary Linda Adams has been simply extraordinary in her resistance to the enormous pressures of these three defense-industry giants to obstruct, evade and circumvent SB 990 at every turn,” said Assemblywoman Julia Brownley, D-Santa Monica. 1. Is not the version that was most recently negotiated between the State and the Parties. What??? If the state isn’t behind it, and we don’t even get to see the real version that had gone back and forth TEN times between the state and the parties? How are we supposed to know which parts were good or bad? 3. and MOST importantly, we need Norm Riley as Project Director. We need that same strong leadership to lead us through this process until it is on track. It is NOT on track now, with half a consent order, negotiations breaking down and heads rolling right and left and a statute of limitations just around the corner. We need the State to STEP UP, not run away. We put our faith in you, California (Schwarzenegger, Adams, Movassaghi and Brausch) and now the battles continue, maybe in the courtroom now, and what about us? The people below? How does that help us? We have the law, the expertise, and the leadership on our side. We cannot lose the leadership, or we will never get anywhere. Don’t make SSFL the project that no one will tough with a ten-foot pole. We, the people below CANNOT AFFORD THAT. 4. if Rick Brausch wants to continue or even lead the negotiations as the Legislative Director, we absolutely appreciate that, but it is our understanding that both he and Mr. Movassaghi have been in these negotiations, so how does the removal of the person who created the original consent order moved the project to a completely new level of attention and priority. From Norm Riley, we got real investigation, real action, real consideration, real characterization and a real schedule of mechanisms to ensure that the characterization moves forward so we can get to the clean-up we’ve been waiting for, by 2017. I am personally not willing to give up on that, which I believe to be the MOST important element: progress, because 50 years is a long time, and time IS part of the equation that leads to exposure amongst both the community and the workers. We cannot wait another thirty years. NO WAY. 5. Now we are losing the best DOE person we’ve ever had, in Mr. Thomas Johnson, who has also been the new face of DOE who brought about change for the positive. WHO WILL EVER STEP UP FOR US AGAIN when we know, and we can see what happens to those who do. Boeing controls the front gate and all that goes on, as they “operate the site” for all the parties. How does this work when they manage who gets on and who does not, and when. I’m not sure I understand the statement, “90% RAD and 50% chemical” when NASA is responsible for most of the TCE Groundwater contamination. 90% of what? of the site? the contamination? the amount to be cleaned up? Where do these percentages come from? and how are they relevant? I also think it’s important to remember this legislation correctly and accurately. It’s SB990, not SB900 and it’s been law since 2007 so what exactly is the question about following this law? Boeing is required to follow all applicable state laws and yet they aren’t in the order. How does this move us forward with the federal entities when DOE doesn’t own the property and NASA is busy transferring their portion to GSA? I am very concerned about the idea of these issues being now negotiated separately. We have an existing consent order signed by all the parties that provides for all applicable laws to be followed. SB990 is law so let’s get busy and start following the order, instead of re-writing a new chapter of negotiations when we should be characterizing and cleaning-up the site. Enough is enough.